All-New 2019 Corolla Hatchback Marketing Campaign Proves the Hatch is Back! “Tablet down, let’s go” says dad as the family preps for the road trip. They pile into their all-new 2019 Toyota Corolla Hatchback and take off on an adventure. Before you know it, the tablet is forgotten, and life takes over. This family is living life “Greater Than” before, and the Corolla Hatchback helped them get there. 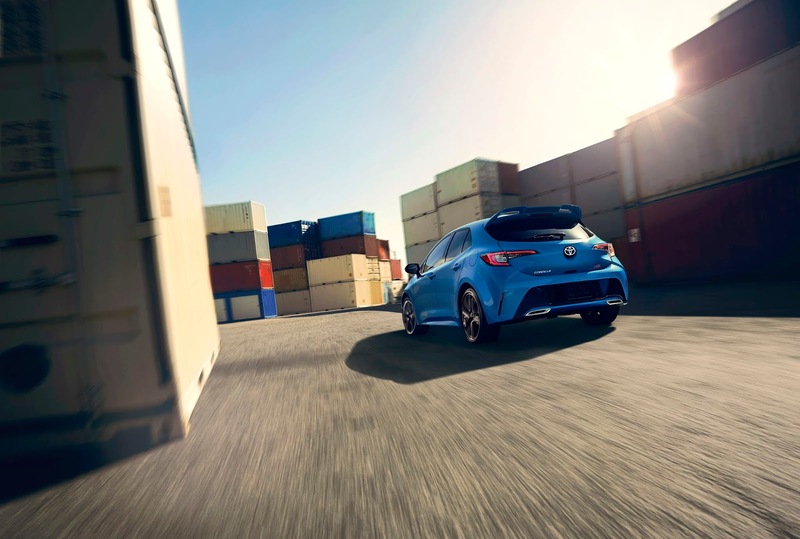 Toyota’s new 2019 Corolla Hatchback national marketing campaign, titled “Greater Than”, promises a vehicle that enables drivers to live in the moment and experience life to the fullest. The fun-to-drive hatchback evokes style without compromise while boosting Toyota’s newest, most technologically-advanced features in a small car. The campaign highlights the fact that Corolla drivers continually carve out opportunities to come together with friends and loved ones for unique adventures and great times together. Because a life well lived is truly “Greater Than”. “Greater Than” features six 30-second spots created for TV and digital placements, as well as a mix of 15-second and 6-second spots. The fully-integrated campaign targets a transcultural audience with assets developed by three of Toyota’s agencies of record, including Saatchi & Saatchi, Conill and Intertrend Communications. “Roots” features a family experiencing the joy of a spontaneous, fun-filled day. “Scratches,” is inspired by an unanticipated journey off the beaten path. The print campaign featuring the unexpected Dirty & Clean, Lost & Found and Detours & Plans, raise the unspoken sentiments of living in the moment, embracing a new experience, challenging traditional stereotypes and pursing passions. The “Greater Than” TV spots will air in select targeted cable programming across NBCU, FOX Networks, Viacom, Turner, A+E, ESPN, Telemundo, Discovery en Espanol, Univision and more. Additional elements of the campaign include dynamic digital, audio, and print ads in high profile publications across Meredith, Hearst and Conde Nast. New integrated media partnerships include Oath, imgur, ESPN Nacion, Billboard, e-sports, the 2018 Latin American Music Awards, drifting platforms and more. Additionally, spots will air within select movie titles in theaters nationwide in conjunction with National CineMedia. With two available grades, SE and XSE, the new Corolla Hatchback will accommodate a wide array of drivers ready to keep life interesting. The “Greater Than” spots are available for viewing here. View photos of the all-new Corolla Hatchback here. The vehicle is on sale now in dealerships. AdStasher: All-New 2019 Corolla Hatchback Marketing Campaign Proves the Hatch is Back!